UNDER CONTRACT BEFORE CONSTRUCTION WAS COMPLETE! Beautiful, brand new 3 bedroom, 2.5 bath end-unit townhouse that's approximately 1500 square feet and quality built by a local builder! As you enter the home you have a breakfast area to the left that leads into the kitchen with granite countertops and all stainless steel appliances. The kitchen overlooks the living room and dining area and the floor plan is bright and open. 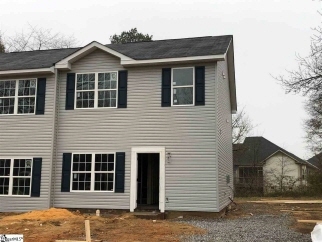 Upstairs you'll find the 3 bedrooms and 2 full baths. The master bedroom features an attached full bath, a walk-in closet, plus a second smaller closet! The deck is perfect for enjoying your backyard that's comparable in size to a detached home. Upgraded fixtures throughout, crawl space construction, and a lot of other quality features. This townhouse is close to everything - see this one today before its gone! PLEASE NOTE THAT THE INTERIOR PICTURES ARE FROM A PREVIOUS UNIT AND ARE BEING PROVIDED TO GIVE AN IDEA OF WHAT THIS FINISHED TOWN HOME WILL LOOK LIKE. THIS UNIT WILL HAVE A PATIO INSTEAD OF A DECK.